The worst gaming goat since that one in Broken Sword. This is a dumb, limited novelty game that's not worth the asking price. Even if the price was right (and that price is free, regardless of platform) Goat Simulator is not worth playing. It's a game designed for YouTube, not the average consumer. Reward this shrewd business decision by not buying this game and just watching some clips online instead. It's not a particularly baaaad game, and it achieves what it sets out to do, but there's not enough content there, nor hilarity outside of its initial gag, to keep you playing for more than an hour or so. It's fun while it lasts, but it doesn't last for long. Providing that you are in on the joke, you are almost guaranteed to have a good time – albeit only for a few hours a best. Running around as a goat is something I never imagined I wanted to do, but it turns out it's incredibly fun. The bugs and general lack of polish do have a negative effect on the game and the short playtime will have some questioning whether it's worth the asking price. But if you are looking for a couple of hours of fun with a lot of laughs, you cant go wrong with Goat Simulator. 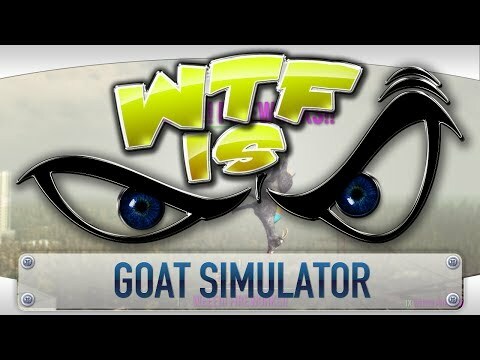 Goat Simulator lets users run around headbutting gas stations and causing explosions. As you might have guessed, it defies categorization. In a way, Goat Simulator calls to mind the other big "Simulator" game, Surgeon Simulator 2013, in that it doesn't try to take players money and run. 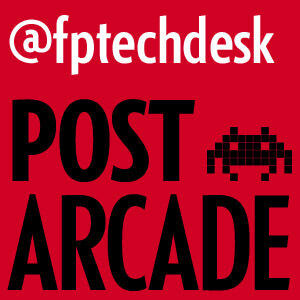 It acknowledges its silly premise and gets a surprising amount of mileage out of it. Only a very particular type of gamer will give Goat Simulator a try, but those who do will be pleasantly surprised. Not since Deadly Premonition has a game achieved cult status like Goat Simulator has. Following a similar so-bad-it's-good formula, it's as absurd as the title implies and charmingly embraces all of its flaws. For that reason, you can't take it too seriously. It's a messy but momentarily enjoyable experience that gratuitously delivers more gamerscore, but as soon as you're done with seeing what it has to offer -- Easter eggs, achievements, and a few good laughs -- there's no reason to return. Pack your bags and head out of Goatville with nothing but a hat collection and weird memories in tow. Goat Simulator's nauseating stupidity has a certain je ne sais quoi, we suppose. You won't be feeding from this particular trough for all that long, but if you're willing to splurge on a headache-inducing afternoon of idiotic entertainment, then – incredibly – there are worse options out there. This isn't baaaad, but it's not the Greatest of all Time either. Great fun, especially with friends, Goat Simulator is so out there and different to the norm that you can't help but have a good time, and laugh along with it. It's funny the first time, but there's just not much there beyond the one big goof. Goat Simulator is quite easily one of the more forgettable games I have played in recent memory. Aside from some cheap laughs and managing to somehow become an internet cultural phenomenon, this goat game offers up little in terms of any substance. Goat Simulator is the definition of dumb fun. It serves no purpose other than to entertain. I have derived far too many hours of enjoyment out of a game with little purpose. Goat Simulator is a great time for the first few hours when you're seeing everything for the first time, but once you've seen everything, there's no reason to keep playing. An intentionally broken game, Goat Simulator's hamstrung sandbox is designed to titillate and amuse, serving up bugs and faults like candy. All too soon, however, the laughs dry up, and what you're left with feels like yesterdays news, with all its tricks let out of the box and with very little left to take its place. A sandbox of the simplest kind, Goat Simulator is a mental yet uproarious title whose silly antics will put a smile on the dial of even the most po-faced gamer. Exploring the world and causing trouble was really satisfying, but the appeal disappears as soon as you realise there is only one map. Hopefully Steam Workshop expands on the ideas here, otherwise it may not have much lasting appeal. A multiplayer mod is a must for the future of Goat Simulator!